What is Search.yourpackagesnow.com? And how does it function? Search.yourpackagesnow.com is a browser extension that functions as a search engine. It claims to enhance user’s browsing experience by providing them with improved search results. Aside from improved search results, it supposedly allows users to search their packages online by giving them quick links to DHL, UPS and many others. If installed, Search.yourpackagesnow.com will quickly change the default settings in the browser such as the default search provider, new tab page and homepage. These modifications are done without consent from users, which is why security experts tagged this program as a browser hijacker and a PUP. Due to its hijacking abilities, the next time you open your browser, you will see Search.yourpackagesnow.com as your homepage instead of your old preferred homepage. Apart from hijacking your browser, it will also deliver tons of pesky ads like pop-ups, banners, in-text links, etc. that appears every time you browse the internet. Some of these advertisements are misleading ones that can redirect you to suspicious websites. This is another reason why this program shouldn’t be trusted. Moreover, Search.yourpackagesnow.com can also spy on all your activities online. This allows the browser hijacker to collect all your browsing data and use them to generate more ads. The information obtained is also shared with third parties which clearly indicates that using Search.yourpackagesnow.com would only put your sensitive data at risk. How is Search.yourpackagesnow.com distributed online? Search.yourpackagesnow.com can be distributed using several ways. But it can mostly be found among software bundles. It is one of the optional programs in these free software packages. The tricky part about software bundles is that you won’t know the existence of these optional programs unless you opt for the Advanced or Custom setup. Thus, the next time you install this kind of software package, make sure to use the recommended setup instead of the quick one to avoid installing unwanted programs like Search.yourpackagesnow.com. To successfully erase Search.yourpackagesnow.com from your computer, refer to the removal guide laid out below. Step 1: First, you have to close the browser infected with the browser hijacker. And if you can’t close it manually, you can close it using the Task Manager instead. Tap the Ctrl + Shift + Esc keys and open the Task Manager. Step 2: Next, look for the process of your browser, right click on it and select End task or End process to close it. Step 3: Afterwards, tap the Win + R keys to open the Run dialog box and type “appwiz.cpl” in the field and press Enter to open the Programs and Features in Control Panel. Step 4: From the list of programs installed, look for any programs that could be related to Search.yourpackagesnow.com or any suspicious program you don’t remember installing under the list of installed programs and once you’ve found it, uninstall it. Step 5: After that, restart your computer and then open your browsers and reset them back to their default state. Open Google Chrome, then tap the Alt + F keys. After that, click on Settings. Next, scroll down until you see the Advanced option, once you see it, click on it. After clicking the Advanced option, go to the “Restore and clean up option and click on the “Restore settings to their original defaults” option to reset Google Chrome. Open Mozilla Firefox and tap Ctrl + Shift + A to access the Add-ons Manager. In the Extensions menu Remove the unwanted extension. Restart the browser and tap keys Alt + T.
Select Options and then move to the General menu. Overwrite the URL in the Home Page section and then restart the browser. Next, click the wrench icon for Settings. After that, go to the Advanced tab. From there, click the Reset button. This will reset Internet Explorer’s settings to their default condition. Now click OK to save the changes made. Step 6: Edit your Hosts File. Tap the Win + R keys to open then type in %WinDir% and then click OK.
Open the hosts file using Notepad. Delete all the entries that contain Search.yourpackagesnow.com. After that, save the changes you’ve made and close the file. Step 7: Now you have to flush the DNS cache of your computer. To do so, right click on the Start button and click on Command Prompt (administrator). From there, type the “ipconfig /flushdns” command and hit Enter to flush the DNS. Step 8: Hold down Windows + E keys simultaneously to open File Explorer. Step 9: Navigate to the following directories and look for suspicious files associated to the browser hijacker such as the software bundle it came with and delete it/them. Step 10: Close the File Explorer and empty the contents of Recycle Bin. Refer to the advanced instructions given below to ensure the removal of this browser hijacker from your computer as well as all the file residues it left behind. Turn on your computer. If it’s already on, you have to reboot it. 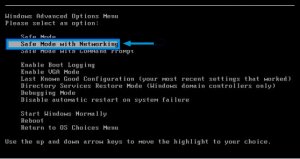 Windows will now load the Safe Mode with Networking. 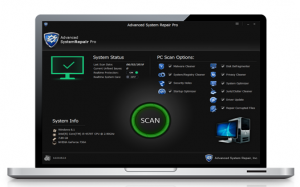 After the scan is completed click the “Fix, Clean & Optimize Now” button.